Rare Replay is a video game compilation developed by Rare and published by Microsoft Studios. The game is set to be released on August 4, 2015 for Xbox One. 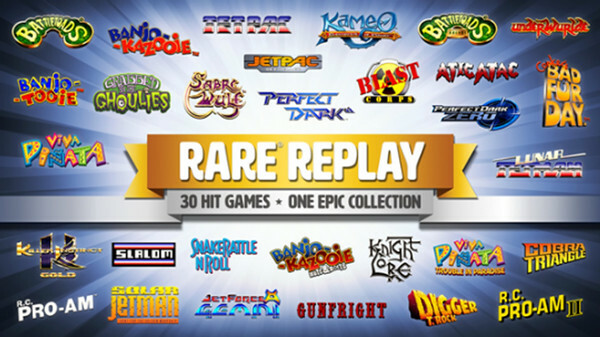 Rare Replay is a collection of 30 video games all previously developed by Rare in celebration of the company's 30th anniversary. Rare brings together the adventures of its iconic characters in a collection that spans the decades. The compilation will include the Xbox 360 ports of Banjo-Kazooie, Banjo-Tooie and Perfect Dark, not their original Nintendo 64 versions. Xbox 360 games that originally included online multiplayer, such as Perfect Dark Zero and Banjo-Kazooie: Nuts & Bolts, retain these features in the compilation release, and will include most of their downloadable content. Some older games have an option to add the appearance of scanlines by clicking the right analog stick, or an option to "rewind" progress in the game. 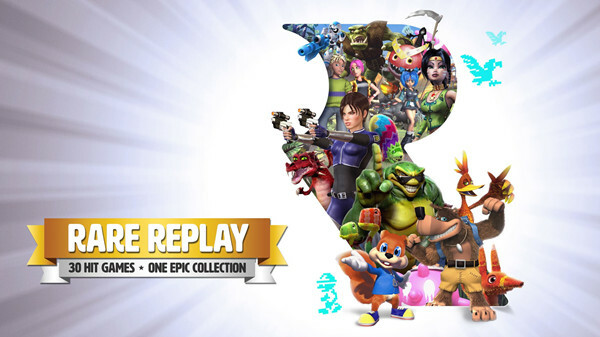 Rare took their time deciding which games to include in the Rare Replay collection, even if it went against personal choices of some team members. The game collection is not pleasing everyone, especially those who expected their favourite games to be included. 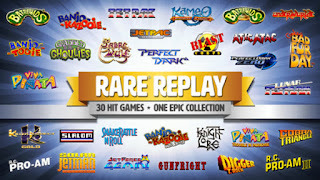 But those 30 games are not the end of it though, as more could be added in the future, according to Rare's James Thomas. 'There is a wealth of titles that we could dip into; a huge heritage beyond the 30 that we chose,' said Thomas. Coming to the Xbox One next Tuesday! Are there a favorite of yours?